I know that the rule is to use ‘we’ and be ‘personable but not personal’ but on days like these, it’s hard to not yell from the rooftops of my beautifully well-lit city and scream at the top of my lungs, “I Love you Bloomington!” because, you know what? This IS personal. This is (sometimes) about me, and mine. And I’m thankful for that. I’m so amazingly overjoyed, ecstatic, and blessed to have such support in this amazing community I live in, WE live in, and I wanted to share that with you. I am so thankful. Eight long (and yet so very short) days ago we slowly opened the door to our 500 sq foot store in Fountain Square Mall. We pulled up the blinds, turned on the Christmas lights, plugged in the register, and held our breath. But not for very long, because our first customer strolled in nonchalantly, as though we’d been there all along, as though we belonged, a staple in a mall with history, and they walked around pondering the handmade goods on our shelves . 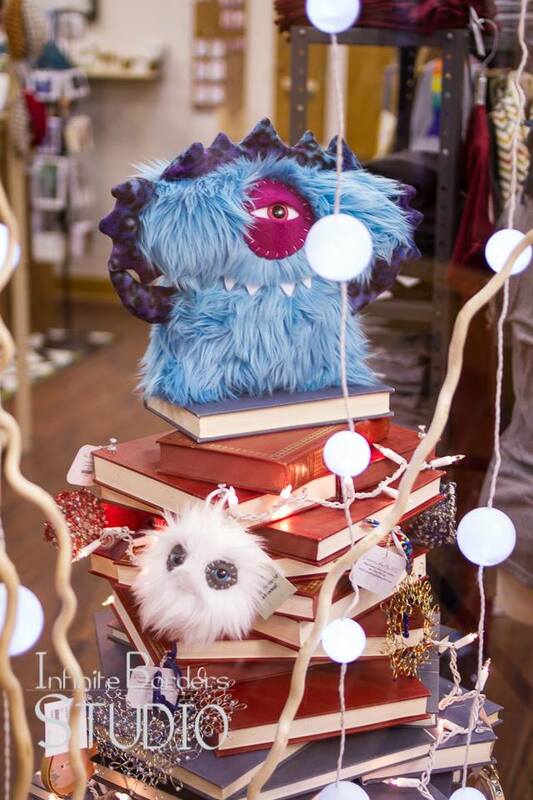 . . they picked up jewelry and turned over pillows; they unfolded t-shirts and smiled; they giggled at beards and one-eyed monsters and cooed over the kids’ section in the back. And then, as though on cue, they bought the first item (credit card or I’d have the $ bill framed) and we breathed a sigh of relief. We did it. We were for real, and they . . . you really like us. It’s only been 6 short days since then and we . . . I am so overwhelmed at the kindness I’ve seen walk through the door. The smiles, the laughs, the singing along to Christmas music playing loudly across a room full of strangers . . . the silly “What does the Fox say” concert had on Plaid Friday . . . the trying on of amazing handmade goodies and the adoration of such items. These items might not all be mine (99% of them are not) but I hold them so dearly to my heart, I consider them to be mine. These are my best friends – not these things, no – these PEOPLE. 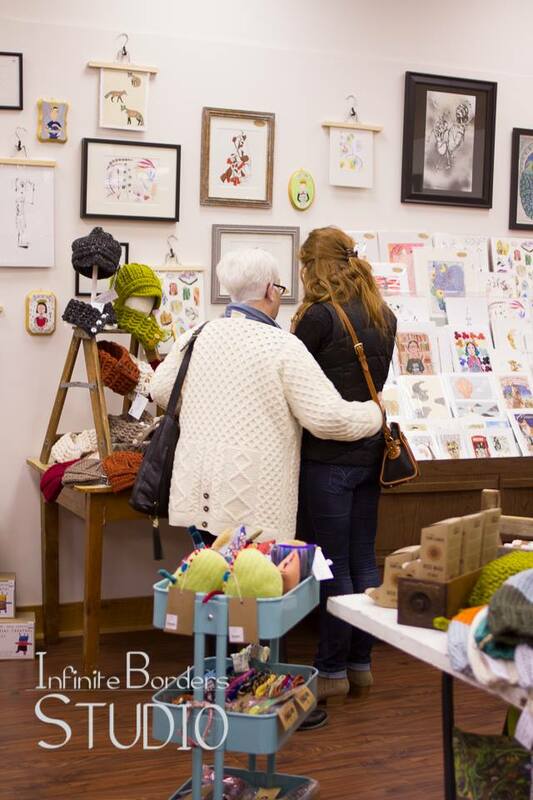 When you shop at Gathering you’re buying from real people – in your community. When you purchased that Knit Turban Headwarmer today, know that you’re supporting an amazing woman who’s working on her PhD in Rhetoric and Composition, who has style and sass you wouldn’t believe, who can talk circles around any literary genius and whose smile warms the room. When you decided to buy that wee little one-eyed monster today for your niece in Florida, know that you’re supporting one of the funniest/funnest couples I’ve ever met, who happen to not be able to stand the smell of fish and whose airways might close up if one of them gets too close to a cat. The better half of the couple can also sew a mean bear costume (and did for her the all male school she teaches at). When you tried on that awesome shirt today that stands for something we should all stand up for (“We Like You Here”) know that you’re not just supporting a cause (which is an amazing cause by the way) you’re also supporting a working artist, who is also a teacher, who is also an amazing friend, artist advocate, and business person. When you bought that Buckle Beanie and matching Scarflette . . . know that you’re supporting an entire family – yes, that’s right – you’re supporting a single mother and her two little girls and you’re making their Christmas and know that those two little girls have the best smiles and the most amazing giggles of any little girls I’ve met, and I’ve met a few. And when you bought on a whim those everyday saints at the counter, the cards you’ll be sending to favorite gals across the states – know that you’re encouraging a young mother of three to be what she really is – an artist! You’re telling all of us that we’re doing it right, that we’re talented, that we’re worth something, that we belong. You’re buying from real people. Not just me. It’s not about me – it’s about these amazing people that I get to share with you, EVER DAY (for at least a month!) and I’m just so excited to get to share them with you, and you with them. Please, continue to help me do that. Continue to be the amazing, supportive, blessed community you’ve been thus far Bloomington. I will never forget you for this chance, we will never forget. We Love you. I Love you. Thank you for working so hard to make this possible! !